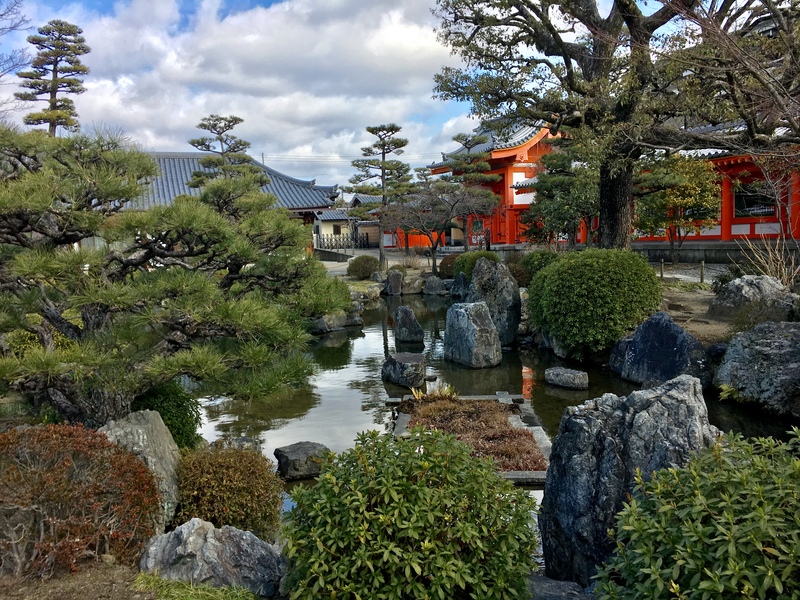 For most Japanese people, Kyoto is famous for its Zen gardens, and Nara is famous for its ancient Buddhist statues. However, there are a handful of temples in Kyoto that have beautiful collections of Buddha statues. One such example is Sanjusangen-do [三十三間堂]. Sanjusangen-do was originally a temple built in 1165 by Emperor Goshirakawa at the corner of his palace. During the emperor’s reign was the rise of the samurai as a political force, so rather than taking control of the government, Emperor Goshirakawa devoted himself into Buddhism. 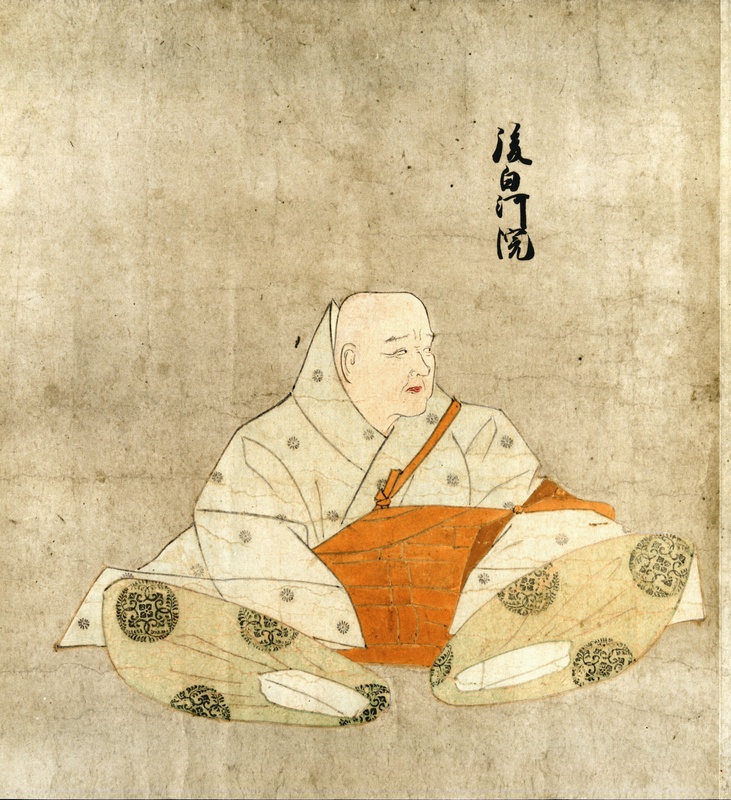 Portrait of former Emperor Go-Shirakawa by Fujiwara no Tamenobu [藤原為信]. From the Tenshi-Sekkan Miei [天子摂関御影] via Wikki Commons. 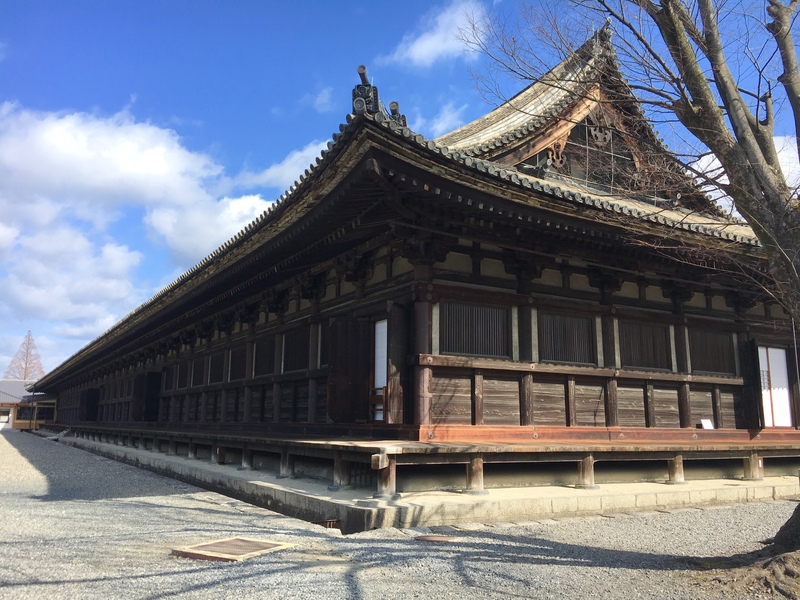 However, the entire temple burnt down in 1249 and in 1266 only its hondo, today Sanjusangen-do, was rebuilt. 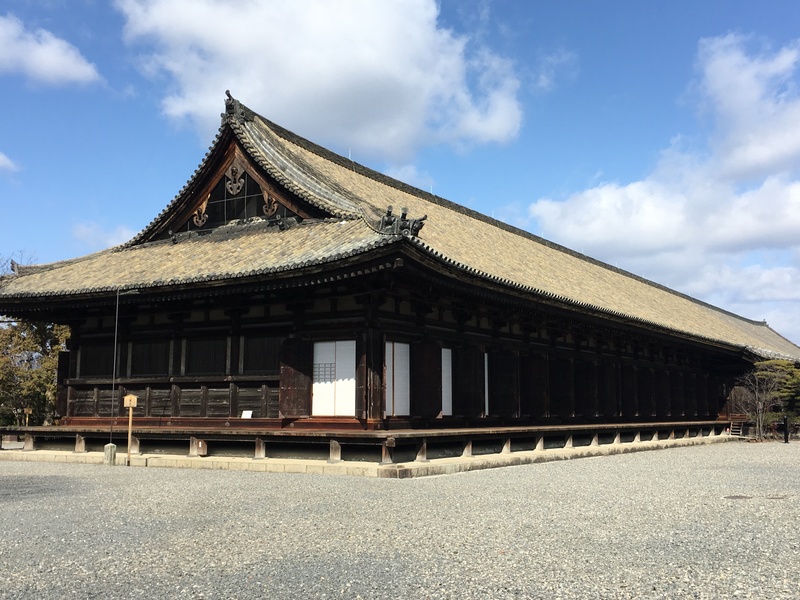 From that time on, the temple luckily survived the Onin War, making the second oldest building in the Kyoto City area, making it a Japanese National Treasure. By the way, the official name of the temple is Rengeo-in Hondo [蓮華王院本堂]. So, where did the name Sanjusangen-do come from? Many people think that the name comes from the fact that there are 33 spaces between the pillars inside of the temple. Also, in Buddhism there are 33 different forms that Kannon Bosatsu can take; the exact same reason why there are 33 temples on the Saigoku Kannon Pilgrimage. The closest station of Sanjusangen-do is the Keihan Shichijo Station. From Shichijo Station, walk opposite of the Kamogawa River and you will be Sanjusangen-do in just a few minutes. It is also possible to walk to the temple from JR Kyoto Station. From Kyoto Station, walk north and turn right just before Higashi Hongan-ji. Then, walk east along Shichijo Street. The area around Sanjusangen-do is called the Higashiyama, and is home to many Japanese National Treasures such as Kiyomizu-dera Temple and Ginkaku-ji. Be sure to stop by the other sites in the area if you have time! It’s worth it! 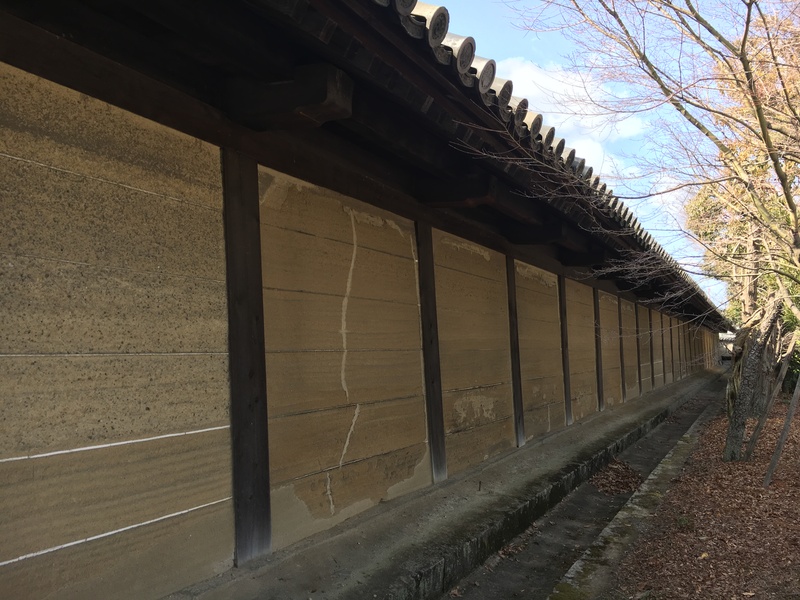 A large wall completely surrounds the perimeter of Sanjusangen-do, so it might be a bit hard to find the entrance, which is on the east side of the temple. 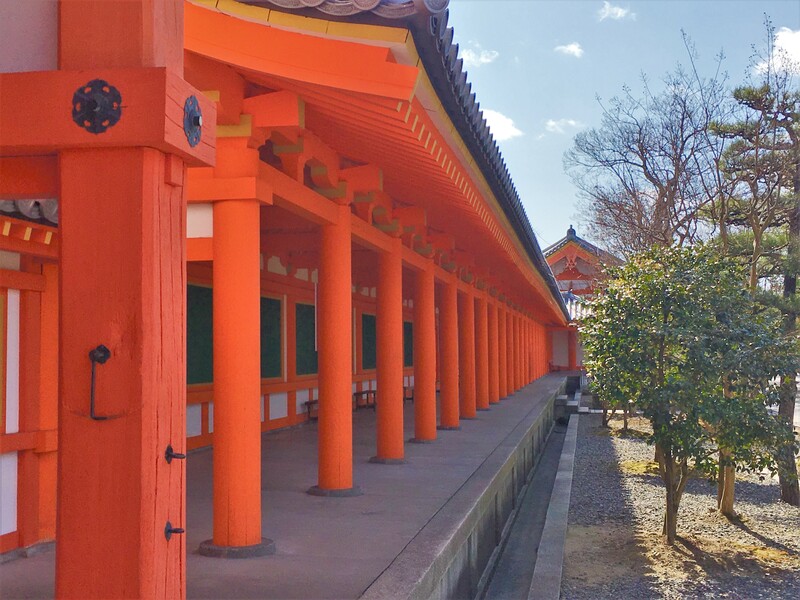 Wall: Part of the wall of Sanjusangen-do is bright red. Long ago, the entire building was bright red like this wall once upon a time. Taiko-bei Wall: built by Toyotomi Hideyoshi and is part of Hoko-ji. Once you enter the Sanjusangen-do, you will see the main building. Hondo: The building is 130m wide. Inside the hondo of Sanjusangen-do are 1001 statues perfectly all standing in nice rows. Each statues and it is full of national treasures and so magnificent! Unfortunately, you cannot take a photo inside at all. * So, here is some information about what you will see in side the hondo. On the edge to edge on main hall stand the rows and rows golden statues the temple is famous for. The statues are of Senjyu Kannon and Hachibu-shu. The statues stand neatly in 10 acceding rows, so you can see their face clearly. It is interesting that each the faces of the statues faces are a little bit different. Not all of these statues are from the same time period. 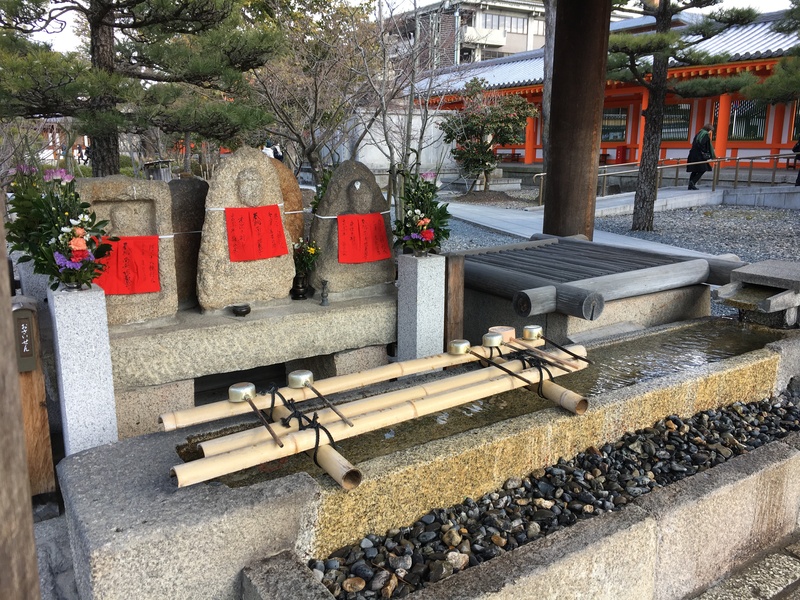 Some of the statues date back to the Heian Period when the temple was first built, and were added in the Kamakura Period to replace the ones lost in the fire. The very front of Kannon statues are 28-bu shu statues, who serve as the protectors of the Kannon statues. You can only see the full set of 28-bu shu at Sanjusangen-do. Near the far end of the hall of Buddha are Fujin (right edge) and Raijin (left edge). They were created in the 13th century and are another pair of national treasures at Sanjusangen-do. Fujin, the god of wind, carries the bag to create wind and Raijin, the god of thunder, carries a drum to make thunder. You will most likely find Fujin and Raijin depicted in temples as paintings, but Sanjusangen-do was the first temple to have physical representations of those gods.